Subject : Get a quote for Product lead "Overhauled Flat/Satchel Bag Making Machine With 3 Color In-Line Print"
Overhauled Flat Satchel Bag Making Machine w 3 color printMade : ManzoniMfg : 1987 (approx..)Model : Seriana 31 / S.T/E 3 x 100Status : Overhauled in 2019Specification:-Tube width : 80 - 310 mmBag length : 200 - 620 mmCutting length : 220 - 640 mmGusset : 50 – 120 mmPaper Weight : 30 – 120 gsmMax. Paper Roll Width : 1000 mmMax. Paper Roll Dia. : 1000 mmMax. 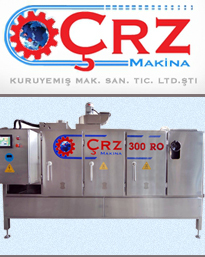 Mechanical Speed : 300 – 600 Bags/Min.Flexo in-line: Three (3) colorsPrinting Cylinders : 3 x 280 mm / 3 x 340 mmMax. Printing width : 1000 mmAll information is given by the source, which deemed reliable.Availability is subject to prior sales.